A trailblazer in the cymbal world for decades, Sabian continues to experiment with what a cymbal can do today. 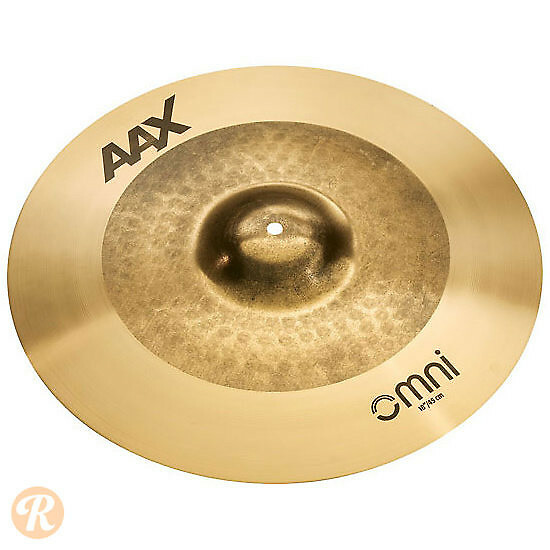 Developed in tandem with legendary drummer Jojo Mayer, the Omni series (made in both the AAX and HHX processes) seeks to provide both a forceful crash and articulate ride in one cymbal. The 18" AAX Omni crash features a sustained response when hitting the lathed edge and distinctive sticking when playing the un-lathed bow and bell.